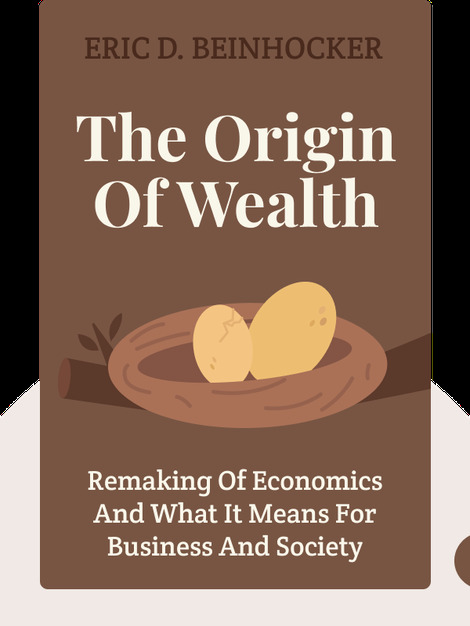 The Origin of Wealth shows us the inadequacies of the economic theories that underpin our understanding of economics. The book argues that economic actors shouldn’t be seen as rational consumers that act on their self-interest. Rather, economics is best understood as a complex system of adaptation, similar to evolution, where products, ideas, and ideology compete for survival. 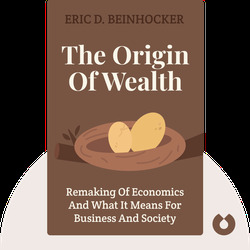 Eric D. Beinhocker is a Senior Advisor at McKinsey & Company Inc., and has a wealth of experience in the business world and academia. He has held research appointments at Harvard Business School and MIT Sloan school, and has worked as a software CEO, as well as in venture capital.